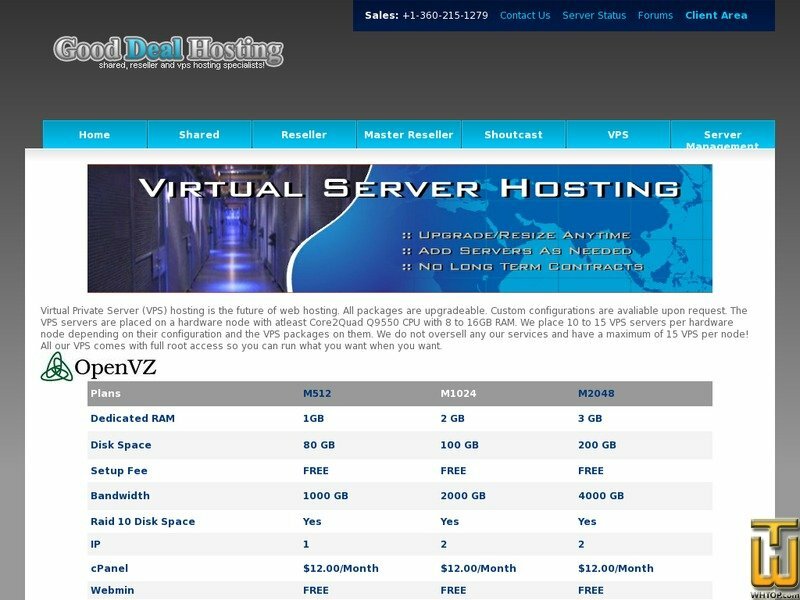 VPS Plan I > goodealhosting.cn, #19325, USD 39.99/mo. See also original VPS Plan I plan location on their website! » cPanel/WHM - $12.00 - FREE Setup! We Provide a Linux VPS server with endless tech support at a budget price.